I know girls and boys it's still clutching on to the last semblance of summer and here I am giving you a post on autumn boots. Hear me out. I've done it before where I've waited until october to go and get my boots which will last me the season, which will go with skirts, dresses and on the odd occasion I may wear trousers, them too. Since 2010 though when I couldn't find a single pair I really liked I've started shopping for my boots earlier and earlier in the year. I'm that person that buys their winter coat in the summer sales. Genuinely I did this with my grey coat from A-Wear and I adore it, 50% off. Hurrah. So being that I have two essential issues when it comes to boots I decided to shop early again. Firstly I want long boots, I'm 5'10 I need boots that go past my calf, most knee boots don't. It is both unsightly and annoying. Secondly I want a durable pair of boots, I could name and shame some High Street stores whose boots lasted barely a month before they fell apart. This is not cool guys! And last but not least, I want flat boots, they have to look great but I don't need the height from heels! This year I've gone further afield and looked into the world of utility boots, boots designed for use, and I've narrowed down my autumn choices. 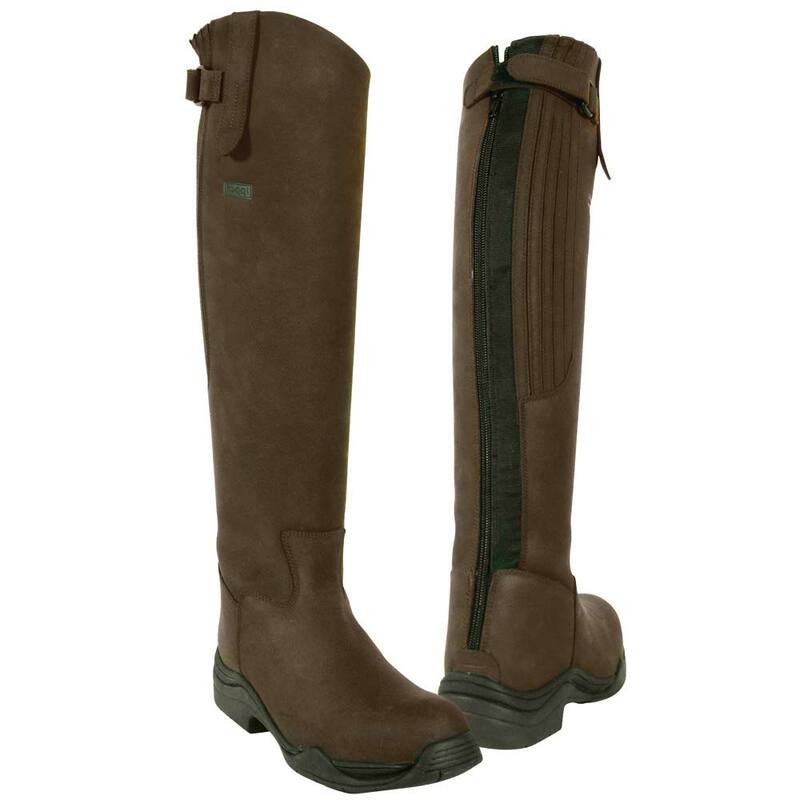 These rather shapely pair are Dublin Zenith, nice and long on the leg and I love the stitching detail.They're essentially riding boots designed for durability and they have padding and comfort zones inside them. I'm sorely tempted, waterproof and seriously tough, I think these would keep me going for the whole winter. 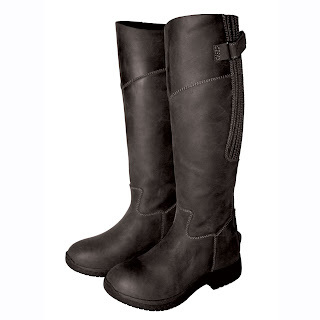 My second choice are these, Toggi Boots which are the Toggi Calgary Tall Boots. Yes folks TALL! They're a little bit more obvious with their utility origins but I love the shape of them. They look like they might actually make it to my knees! Imagine that. Waterproof again, take that Irish winter and lovely and flexible. So girls those are my choices, which do you think I should buy?